The Belvedere Midtown Atlanta Condos: The Belvedere and the Lofts at the Belvedere are located at 560 Dutch Valley Road. The community has two different styles. 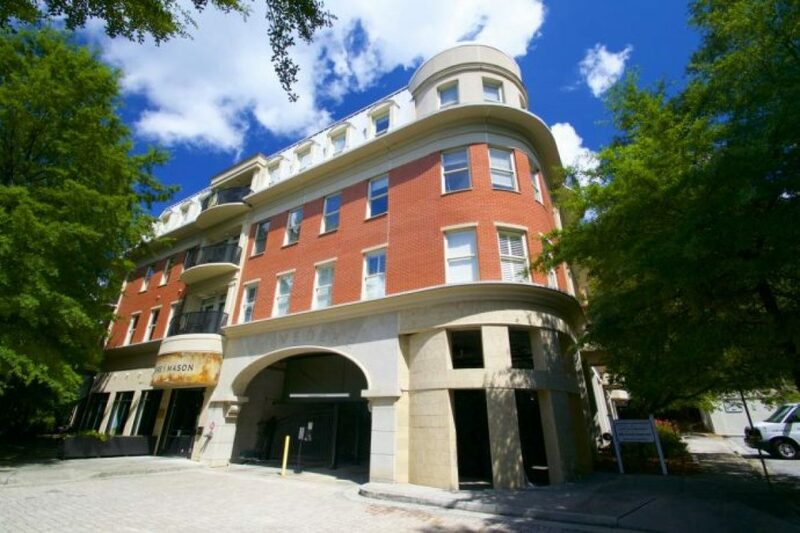 The Belvedere condos are more traditional condos while the newer Lofts at the Belvedere have a soft loft style. The Belvedere community consists of about 87 one and two bedroom properties. Standard features include hardwood floors, stainless steel appliances, granite countertops, large windows, high ceilings, and walk out balconies. The Belvedere condos are a high quality product and generally sell for more than the Lofts at the Belvedere. Residents are within walking distance of Piedmont Park and several neighborhood restaurants on the east side of Piedmont Park. The Belvedere is a 4-story mid-rise located in Midtown on Dutch Valley Road close to the intersection of Monroe Drive and Amsterdam Avenue. Completed in 2001, The Belvedere condominiums have some great amenities and features. The amenities at the Belvedere condominiums include a swimming pool, dog walk, courtyard, gated entrance/exit, and more. The Belvedere offers one and two bedroom floor plans. These luxury condominium homes at The Belvedere feature hardwood floors, granite/marble finishes, stainless steel appliances, high ceilings, spacious floor plans, fireplaces, large walkout balconies/patios, designer fixtures, crown molding, wet bars, and luxury master bathrooms. The Belvedere condominiums are located within walking distance of Piedmont Park, Amsterdam Avenue shops/restaurants/bars/clubs etc. The Belvedere condominiums are very close to everything in Midtown, Virginia Highlands, Inman Park, Atlantic Station, Buckhead, and more.